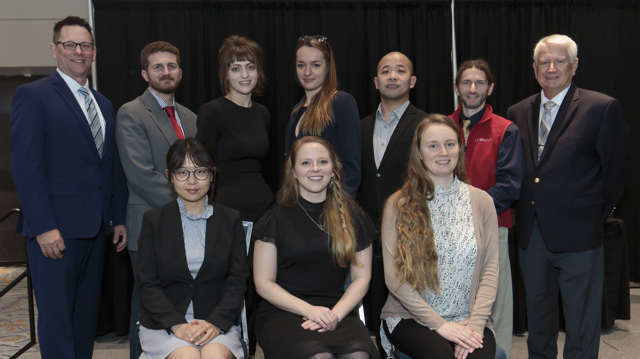 Given in cooperation with the Bureau of Reclamation, National Water Research Institute (NWRI), Affordable Desalination Collaboration (ADC) and the Ian C. Watson Fellowship for Membrane Advancement. 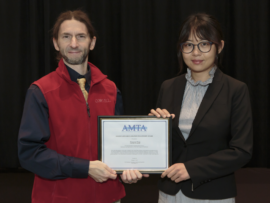 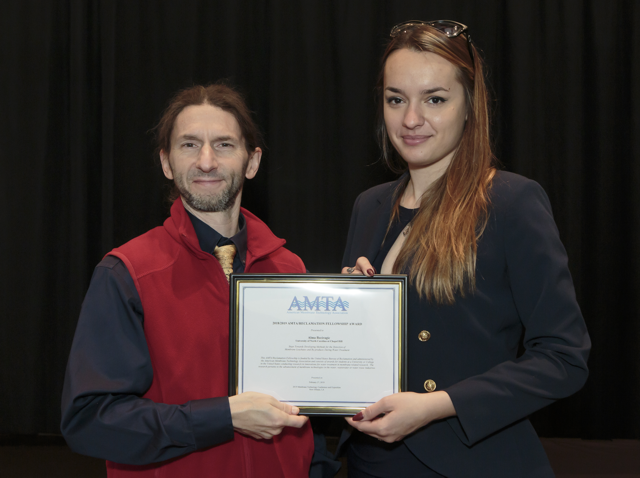 Carlo Alberto Amadei, Mackenzie Anderson, Alma Beciragic and Mengyuan Wang are our 2018-2019 AMTA-Reclamation Fellowship winners. 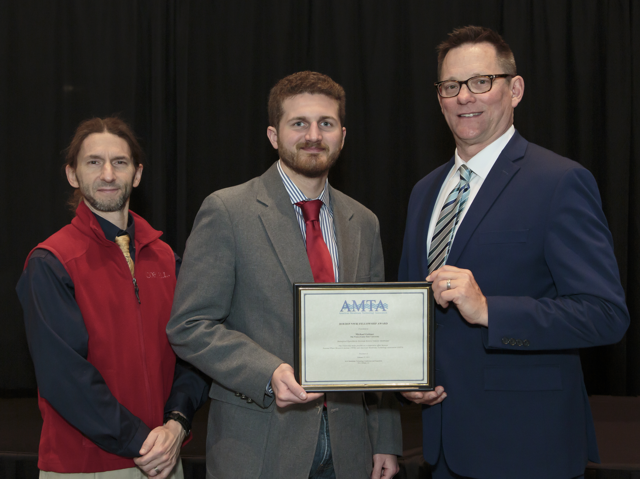 Receiving their awards at the 2019 Membrane Technology Conference Awards Luncheon. 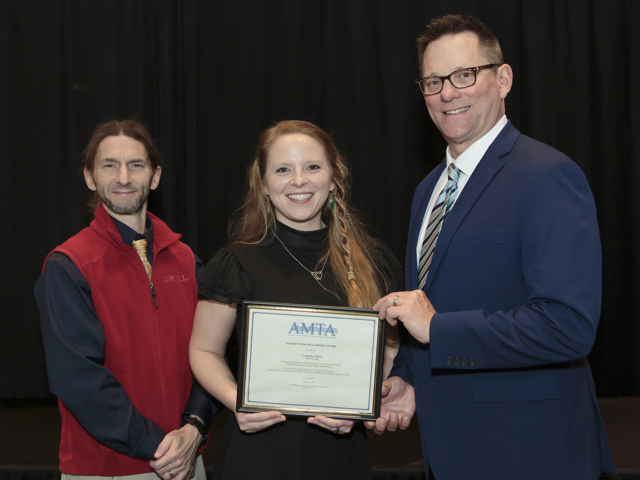 Michael Geitner and Cassandra Porter were our 2018 – 2019 NWRI-AMTA Fellowship winners. Receiving their awards at the 2019 Membrane Technology Conference Awards Luncheon. 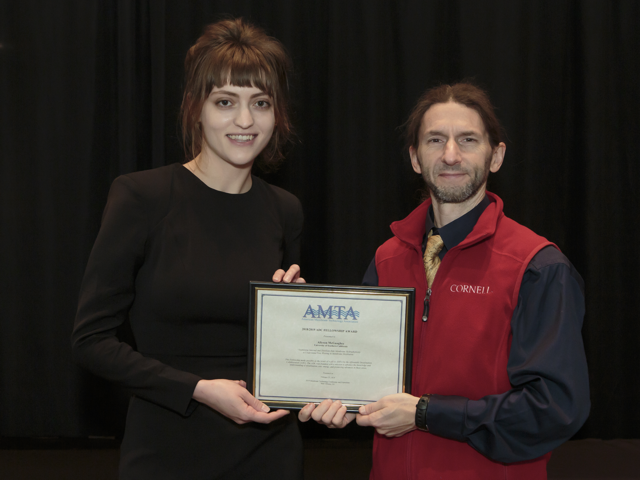 Amar Bhardwaj and Allyson McGaughey are 2018-2019 AMTA-ADC Fellowship winners. 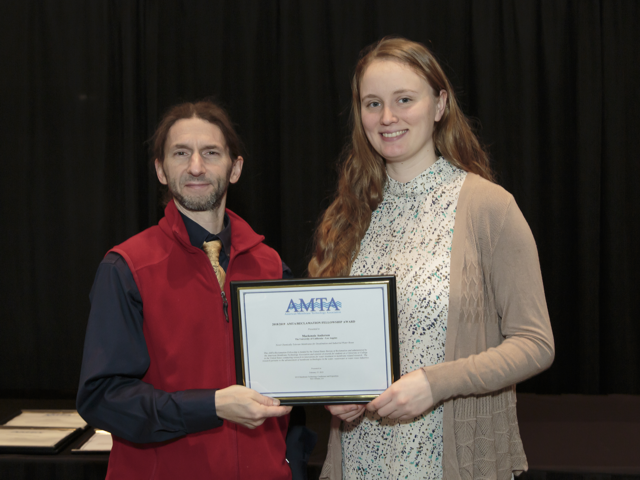 Receiving their awards at the 2019 Membrane Technology Conference Awards Luncheon. Xiaobo Dong is the 2019 Ian C. Watson Fellowship winner. 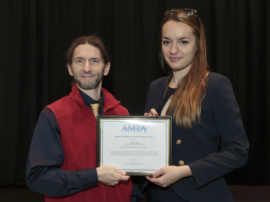 Receiving his award at the 2019 Membrane Technology Conference Awards Luncheon. 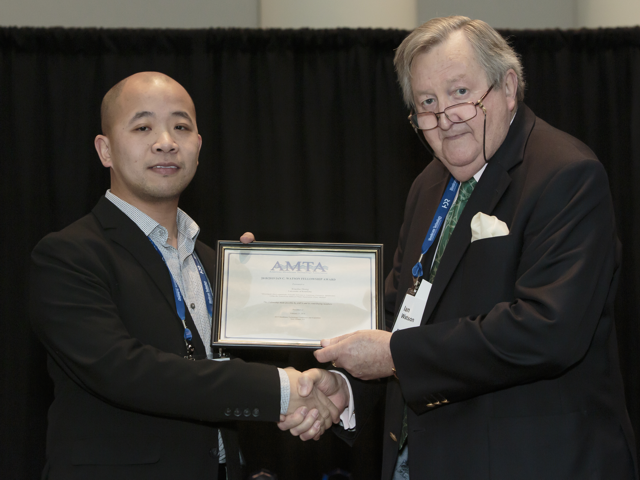 Yaolin Liu, George Washington University at Washington, D.C.